Louise Ashcroft  All My Lives. Arebyte LASER, 17 July 2017. July was a busy month, we had several meetings and got together with alternative art schools to ignite a discussion on cooperation and exchange ideas on the future of education in the arts. On Friday, 14 July we got together for an open meeting and workshop on self-organisation. 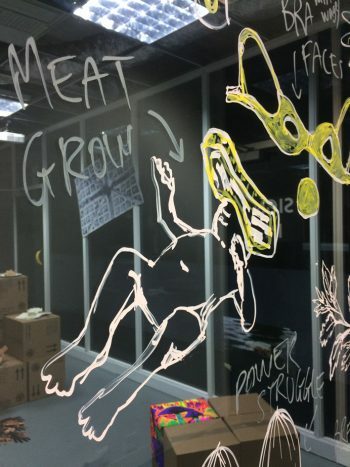 We shared ideas and decided to follow-up with a series of workshops to address new questions that came up, to consider the part that self-organisation plays in alternative art education, and to address our own cooperative practices. Sneak preview of 100% Southend, Twenty One, Southend-on-Sea. Photo Cristina Sousa-Martínez. On Monday, 17 July it was great to catch up with members of AltMFA and to hear all about their future plans at Louise Ashcroft’s exhibition All My Lives at Arebyte Laser. Maximum Overdrive, 20 May – 10 Sep 2017. Focal Point Gallery, Southend-on-Sea. On Sunday, 23 July we headed to Southend where were greeted by Tricia North and Michaela Bannon, two members of the first cohort of The Other MA (TOMA), a 12-month alternative art education model based at Metal Art School. Hot on their heels was Emma Edmondson, founder and coordinator of TOMA, and we set off for an absolutely epic tour from Southend-on-Sea to Leigh-on-Sea. Our first stop was the Railway Hotel, where we were joined by Simon Cole down from London on a different route. After catching up over vegan lunch and a drink we headed towards the seafront for a sneak preview of Twenty One, a brand new venue in Southend. 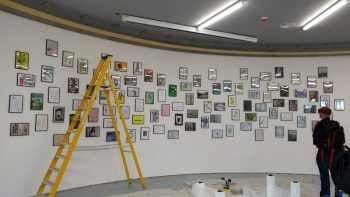 We caught the installation of 100% Southend, an open access exhibition for the launch of the new space. 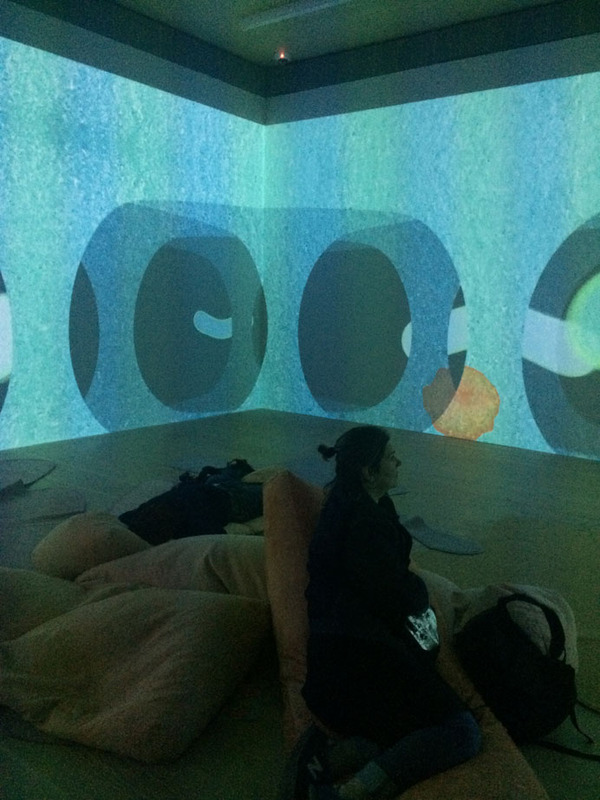 We circled back through town to Focal Point Gallery to see the group exhibition Maximum Overdrive and Big Screen Southend, an open access rolling submission public screen. Follow the link to find out how to submit your work. 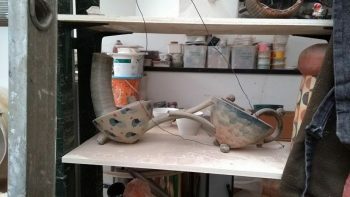 Emma Edmondson at Metal Art School, Southend-on-Sea. We passed the ostentatious University of Essex student accommodation building, the monumental VAT building, the Beecroft Art Gallery and enormous developments on the way to the Old Waterworks, an independent, artist-led space. 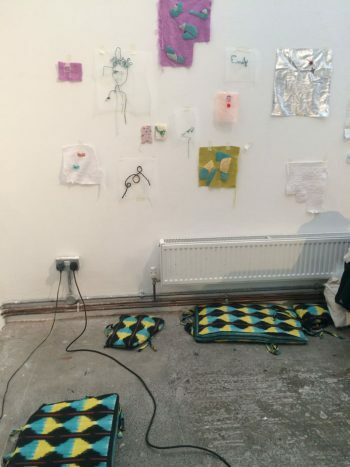 We saw the artists’ studios, darkroom, printmaking facilities and Alison Lloyd’s exhibition Act 1 – 1 Act – Walking the Gallery, Closed – Walking Birchen Hat at Winch Gallery. Richard Baxter’s studio Old Leigh Studios, Leigh-on-Sea. Then we headed through streets of terraced houses to West Road Tap for a drink and chat about alternative art education and coops. We set off along London Road to Chalkwell Park, home of TOMA and Metal Art School. 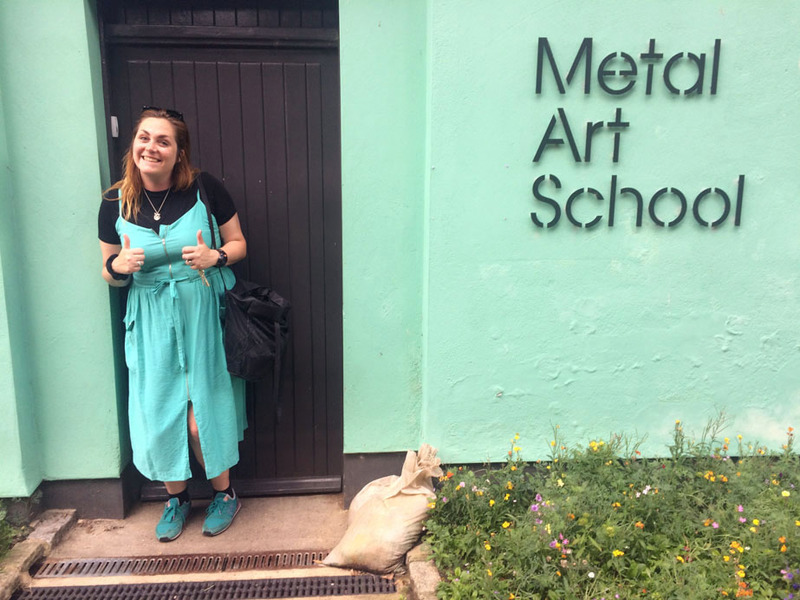 Emma gave us a tour of the studio spaces, the exhibition and meeting spaces, the cosy living quarters and work spaces with excellent views of the Thames estuary. Visit the website for more information on Time and Space Residencies at Metal, the next deadline is on 30 September 2017. After bidding farewell to Metal and the beautiful park we got caught in a downpour which let up as soon as we got to Chalkwell station. The sun and tide were both out by the time we arrived Leigh-on-Sea where TOMA artist Richard Baxter’s studio is located. Richard told us about the boat-building history of the studio, he showed us his work and we talked about reading groups, practice, theory and choices in alternative art education. Still somewhat damp from the storm we piled into the Mayflower to recount the the day over calamari and beer. We eventually had to run for the train back to London because we got carried away with the view of the moody estuary. For more images please see the album on our Facebook page. Thank you TOMA for a fantastic day! Renata Minoldo  Freehand embroidery. School of the Damned’s Common Room, Guest Projects, 22-29 July 2017. 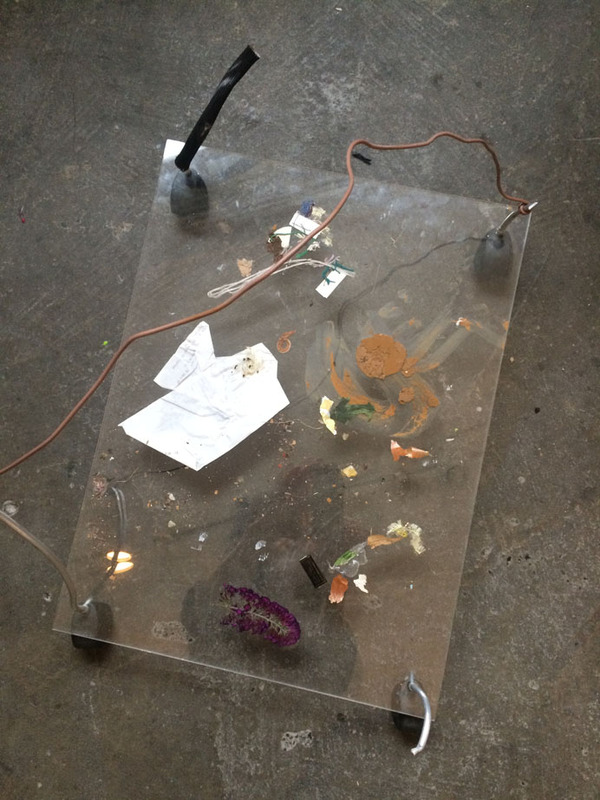 Sean Roy Parker  Recycled pressings, work-in-progress. School of the Damned’s Common Room, Guest Projects, 22-29 July 2017. School of the Damned  Common Room, a public programme of free events. 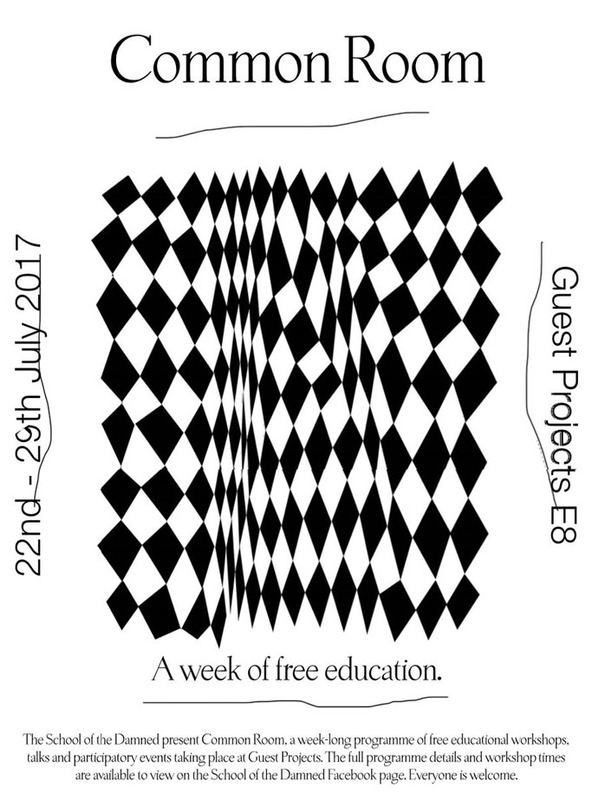 Guest Projects, 22-29 July 2017. 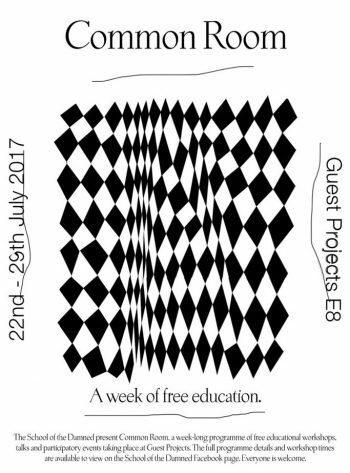 On Monday, 24 July we had a special edition of the book club at School of The Damned‘s (SOTD) Common Room, a week-long public programme of free educational workshops, talks and participatory events at Guest Projects, 22-29 July 2017. SOTD is an alternative contemporary art postgraduate course based in the UK. The school runs a labour exchange economy based, offering a series of skills hour-for-hour in return for guests’ time, venues workshop provision, etc. For the book club, Renata Minoldo prepared and chaired a discussion on Pedagogical Projects: How do you bring a classroom to life as if it were a work of art? 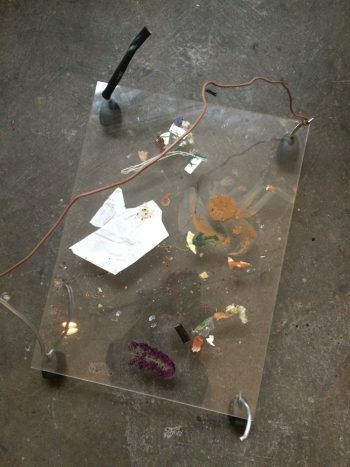 An essay from Claire Bishop’s 2012 book Artifical Hells on pedagogical participatory art projects. The discussion was entirely unrestrained, we meandered beyond territories relevant to the text in several interesting directions, focusing mainly on pedagogical practice and ethics. We might benefit from a return to the text or a closer look at concepts such as Foucault’s notion of parrhesia (the obligation to speak openly), Adorno’s concept of autonomy and Guattari’s ethico-aesthetic paradigm and transversality in the context of art and education. We were excited to meet several members of the SOTD class of 2018, aka Year of the Rooster before the book club, and to talk about their work. Sean Roy Parker ran a Wildflower and Floristry walk on the previous day and was busy reconfiguring his collection of found objects into new ensembles. We were sorry to miss the discussion on Self-organisation, Access and Sharing on the previous day and we heard all about the fascinating workshop Thinking with Water: Pooling resources, research and ideas with Emily Wooley. We viewed the beautiful display of work from Renata’s Freehand Embroidery Technique workshop from the previous day. Renata combines costume design, visual art and art education in her practice, she is interested in pedagogy, communities, education, interdisciplinarity and participatory art, both as member of SOTD’s class of 2018 and in the context of her art practice. She has compiled the School of the Damned Open Library, which focuses primarily on alternative art education. Thanks to SOTD, Renata Minoldo and everyone who joined this riveting discussion on art, participation and pedagogy. It was a pleasure to be part of this exciting programme of events and to enjoy the positive energy of this friendly, cooperative and creative environment. The fallen fruit crumble was delicious.